Rated Primary Current Upto 2000 Amp. Rated Secondary Current 1 Amp / 5 Amp / 0.577 Amp. Type of construction Epoxy Resin cast suitable for differnt panels. 1. CRGO M-4 or M-3 grade toroidal cores are wound with secondary enameled copper wire, which is distributed uniformally on the periphery of the core to achieve minimum leakage reactance. Inter-layer insulation is provided to avoid secondary windiang short-circuiting in times of fault in the system. 2. Primary winding consists of flexible rope of copper and has the required number of turns in one or more sections. Their ends are crimped and taken out through copper rectangular strips or rods as per customer requirement. 3. Insulation consists of high quality epoxy resin. Initially, the secondary wound cores are mounted & cast in the required mould ensuring minimum clearance as per the voltage requirements. Then the primary winding is cast along with the above in the required mould. Casting is done under vacuum in the epoxy resin cast plant specifically dedicated for the purpose. It has mixing & pouring chambers with controlled temperature and vacuum conditions. Procedure of casting is followed strictly by the resin manufacturer for the particular resin-mix. 4. Curing is done at 1000 C or at room temperature for the specified time depending upon the type of resin used. Transformer is to be unpacked fully before carrying out site tests. Before energizing, all the secondary terminals not in use are to be short circuited and grounded. Primary connection is to be tightened sufficiently to avoid hot connection. 6. 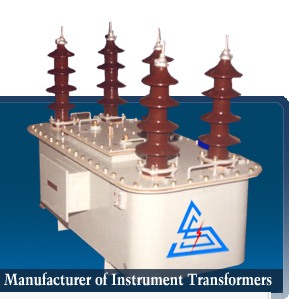 As the transformer is fully encapsulated, routine maintenance is limited to clean the outer surface only.